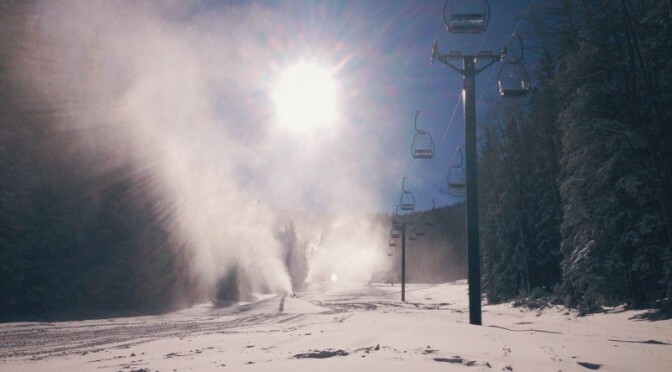 Santa Fe, NM – High in New Mexico’s Sangre de Cristo Mountains at 11,000 feet, Ski Santa Fe is building a new five million gallon above-ground metal tank to store snowmaking water. The resort is spending $2.2 million on the new structure to hedge against lean winters. Although resort operators across the Southwest have placed high hopes for this season’s predicted El Niño, the past few seasons haven’t been terribly kind to New Mexico skiers. 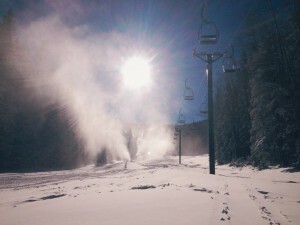 Construction is currently wrapping up on the new tank alongside Ski Santa Fe’s Burrow Alley trail, between the Tesuque and Millenium chairs — strategically situated to let gravity work its magic to provide the water pressure to the resort’s snowmaking lines, and thereby reduce snowmaking energy costs.